Ethos | Whose Education Is It Anyway? My approach to supporting learning is multifaceted but this page attempts to aggregate a clearer picture of what I believe many organizations need to pursue. If any of the below is of interest to you please do reach out and let me know. This page has been updated since late 2015. The primary focus is on workplace learning but elements extend to formal education. Although I came to workplace learning through a background of higher education (particularly focused on online learning), I would argue that the core ‘learning’ product can not be the start point of any conversation for an L&D team. Firstly, you need to think about how people are working. If your Intranets, shared file systems and other collaboration platforms are working well and driving efficiency and productivity then a ‘learning system’ may well not be needed. If online communication and collaboration are failing then you need to think more holistically about how people work and learn. For example, when I worked in higher education we enabled the staff body to use the student-facing virtual learning environment (VLE aka LMS) to support collaboration among the team via, for example, file sharing and remote meetings via ‘classroom’ tools. 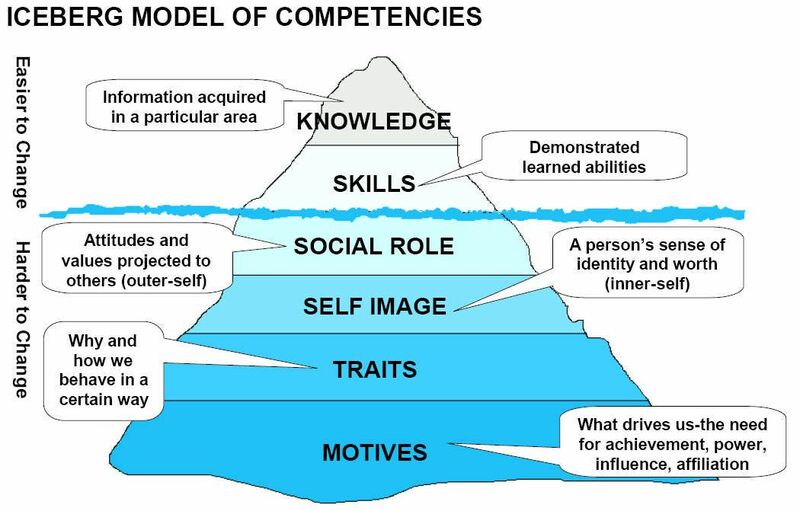 If we are talking about organizations that operate with a largely digital workplace then we need to consider digital learning, I see this as going beyond eLearning (largely synonymous with SCORM packages) and online learning (the wider picture beyond SCORM into LMS, Virtual Classroom, etc) to support the sharing and development of information, knowledge and skills within the workforce (digital being a holistic view of information flows and developments) including collaboration, mobile, apps, AR, VR and more. I am hesitant to call myself a ‘learning professional’ or ‘learning and development professional’. Instead I would see my expertise in being able to look at how a business unit works and consider the most appropriate way for people to get better at the work in that space. A lot of the time, in many organizations, these improvements can be made via consideration of knowledge, information, skills and behaviours (all of which can be impacted by knowledge and learning solutions). Learning will happen with or without a learning function but we need to aim for that efficiency/proficiency and amplification of outcomes (such as actual impact on performance and sharing across silos) as organizations become more complex. However, whilst this can be sought, the whole organization has to take responsibility for reaching the desired goal. An example would be that if you want cultural change then you have to foster it from the top (managers act as they preach) with other areas, such as recruitment/induction, enforcing expectations. In many ways I am a learning reducer (see here for some logic from the music industry) – keeping learning lean, agile and focused. So if we accept that organizational leadership owns ultimate responsibility for supporting learning what can people (like me) in ‘learning’ roles do? Well, I would say, we must scaffold and foster the work/learning environment. Of course many learning-focused folks have taken on 70:20:10 as a mantra for what they should be doing. The argument is often that many organizations positioned their learning department to only be supporting the 10% and are now playing catch-up. Quite how 10%-focused teams got into such a predicament is always a little beyond me, for example, they surely had not ignored reflection (as identified in the learning tree), especially considering it has been fundamental to the often maligned HE and school learning patterns. My take on 70:20:10 is that the ratios will vary and the 90 will happen with or without L&D, our real value is in supporting the structures that amplify tacit ability and make it available to all who may need it – including community management for social learning. Support for learning can also extend beyond the workplace, supporting the personal learning networks of colleagues, for example, exposing your learning to the ‘extended enterprise’, prospective staff, pre-induction new joiners via onboarding, working with membership organizations, etc. Therefore learning professionals, in my opinion, are all about supporting the right networks and opportunities as well as designing great learning opportunities where there remains a need. If your company thinks it has expertise in a specific area it should come up in a “I want to…” search for that topic on YouTube. If not, why not? Google identify this use related to domestic issues but, just as there has been massive growth in home and beauty queries, there will be ever expanding use in the workplace and for professional topics. This is an example of where previous internal silos between marketing, learning and communications need to get much less defined – promoting expertise internally and externally is the role of the wider support structure. I would argue that the MOOCs which will succeed, if any, will be those that expose their materials to Google through, for example, hosting video on YouTube and not on a closed LMS. These resources can then advertise the value that comes from active engagement in the ‘walled gardens’ and where the SME-student and peer interaction leads to real learning. If you have propitiatory IP used in internal courses/resources then host that internally, however, be honest about how much you actually have that adds value by being bespoke and not open. Communicate this value in the way you curate resources, and foster communication around them. I do not believe in grouping people by generational or other categories, as everyone is different, however, the “67%…[of people who] agree that they can find a YouTube video on anything they want to learn” (see above link to Google piece) will only increase and internal learning should be making sure their companies are recognized as the experts by being the people learners find on the open-web. Many of your people may not think there is much value in an open-first approach. However, I would argue, that in a learning/knowledge-centric organization your people are your brand. The social media and public web profiles of your company and the individuals who make it up will create the perfect storm of branding and learning culture. If people are driven by a salary they should see business improve, if they are driven by prestige they should see conference presentations and the like increase, etc. The alternative motivation would be to argue that if you do not do this you will not survive. Higher Education institutions, for example, need to think how technology enables cross-institutional working to break silos. The professional learning iceberg is a nice way to articulate if people are really acting in a way to develop deep technical expertise. Where people are in terms of the deepness of their development will obviously be very personal. Therefore, we need to stop a lack of engagement with career development by avoiding numbing our colleagues’ senses with locked-down and non-personalized resources. One way to better personalize learning is to make better use of assessment, especially short form assessments, that can help keep people up-to-speed with a topic as well as assessing what development activities they may actually need. Filtered is an example of a company that has taken this on with tailored learning experiences via initial assessments of understanding. Testing seems to be increasingly synonymous with bad compliance training. This does not have to be the case. There are many other points that are in mind and impact my work – I’m more than happy to discuss! Pingback: Reflecting on: “Here’s why you’re failing to create a learning culture” | Whose Education Is It Anyway?